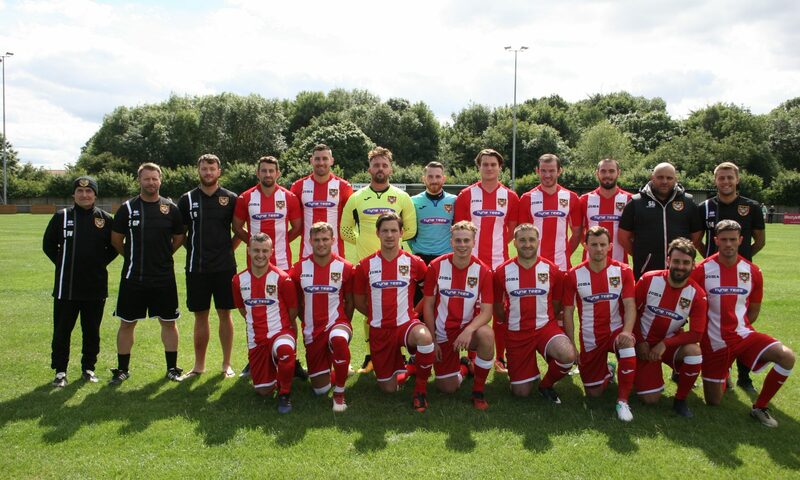 Ryhope CW scored three goals to secure a comfortable 3-1 win at home to Whickham FC in their Northern League Division One match. This win gives Ryhope four wins from six games and their first league double of the season against Whickham FC. Five minutes into the first half the home side were awarded a free-kick just 10 yards out of the box, James Ellis secured the first goal sending the ball around the wall into the bottom left corner. For the next 15 minutes both sides had their fair of opportunities to score, Whickham had chances in 12th and 16th minute. The home side kept on pressing, in the 27th minute Ellis had another attempt from a free-kick that was saved by the keeper. Ellis scored the second when Micky Rae intercepted a poor backpass by the opposition and set Ellis up to score from close range in 29th minute. The first-half showed that Ryhope had control over the game with a splendid display from James Ellis and Danni Lay who were in top form. With the beginning of the second half Danni Lay was subbed for Robbie Bird due to an ankle injury sustained in the first half. In 51st minute Lewis Teasdale was sent off after a harsh foul on Ben Riding forcing Whickham to play with ten men. In the 58th minute Nicholson got down the right and got a cross in which was half-cleared into the path of Ellis, he played it quickly to the edge of the box for Nathaniel Skidmore who sent the ball into the left corner of the goal taking the home side 3-0 up. Ryhope showed dominance over most of the match until the 70th minute when Matty Pattison scored the Whickham’s only goal with a powerful effort from close range to make it 3-1. The game went on with both sides having turns and chances but the full-time whistle came meaning Ryhope CW secured their first league double of the season and a comfortable win at home. The win see Colliery Welfare climb one place to 11th, as they go into a difficult Durham Challenge Cup game away to West Auckland on Tuesday night.